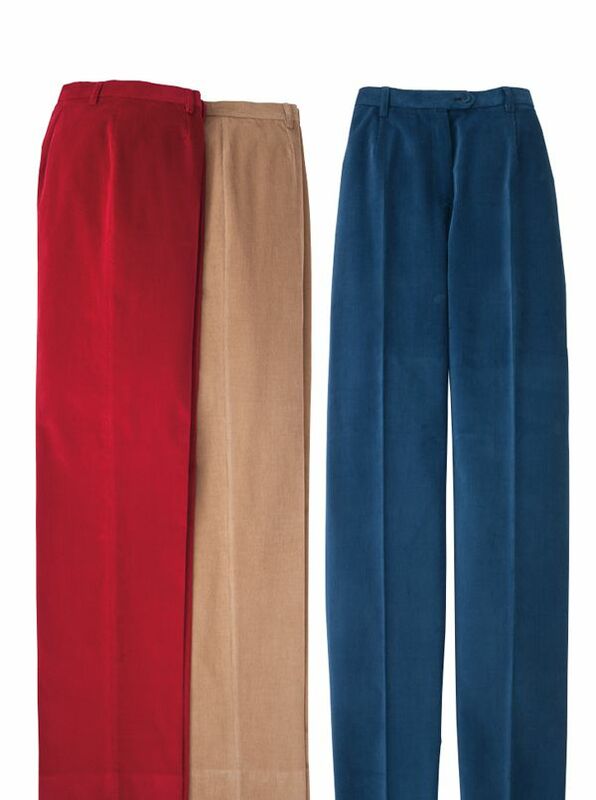 Stretch Corduroy Slacks by Bernard Zins are country-perfect city-smart. Tailored in France of soft cotton pinwale cord with 2% Elastane for stretch comfort. Front zip straight leg model with belt loops no pockets.